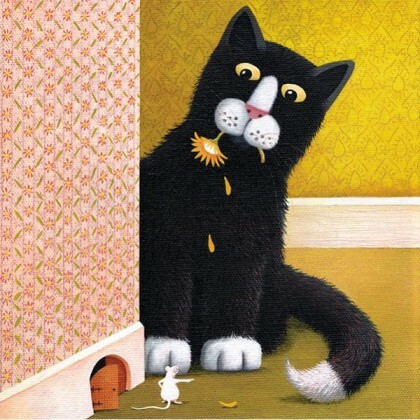 These stunning 6” square Greeting Cards by Vicky Mount are great fun for you and your cat loving friends. The beautiful high gloss colourful greeting cards are cello wrapped and your order is securely packed to arrive in pristine condition. Minimum Order any 6 cards.